or Google Places for advertisements. restaurants, bike shops, dry cleaners and more. important facts, display opening hours and latest offers and updates. The business information that you submitted to Google Places is the one that makes up your listing. It is different from other Google listings results that came from data found on web pages and sites. address that you provided when you signed up. through Google’s Ad Words program. Each business listing should have a physical mailing address. It is where mails can be sent to your business location. For those who are working from home or on a mobile business, providing a service area will do. You can also opt to hide your physical address once Google Places approved your business listing. Only one listing for every physical location is allowed. use the categories or description of your business to explain the different services you offer. 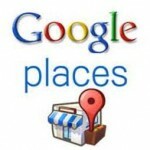 Reading on the Google Places’ quality guidelines can also help you gain approval from Google. Google account log in or your Ad Words log in. Once signed in, type in your business phone number to check if Google Maps already has your business information or not. you may want your potential customers need to know about your business. While typing in all your business details, you can see a preview of your business listing at the same time. You can find it at the right side part of the page. You can edit the details any time you want. Once done, click on the Submit button and wait for a postcard with your pin from Google within 2-3 weeks. 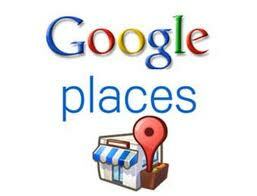 You can always view and edit your business listing any time by logging in to the Google Places. impressions, actions, and clicks for the last thirty days. Always make sure that your listing is accurate and complete. For your customers or users to find you easily, make sure to key in your business location correctly on the map. Ensure to point the map marker to the exact location of your business. Attach videos and images to make your business listing stand out. and other important details that help customers choose from the results. Choose the most suitable and specific category for your business. is that the categories should be accurate, specific, and describes your business well. Create an accurate and strong presence on the web. An improved Google search result comes from the aggregated information about your business from the entire web. otherwise try contacting directly the other site for necessary corrections. Google also uses feedback and reviews to improve search results. Thus, encourage your customers to write a review or blog about your business. Become one of Google’s Favorite Places. you can see more information see here.